Our Magic Mirror is our latest service we are now offering. We decided to create it’s own individual page on Facebook for all the pictures from the night & some unique branding but be assured this is all owned by KillaPartyUK. This booth is very versatile & can be used in tight spaces. Either have it as an open air booth or you can add the blow up air pod to create an enclosed traditional style booth. The air pod is included in the price it is just down to client preference & space restrictions. Please watch the video of the booth in action & you will see it is the very latest fun way to interact with a Photo Booth at your event. It talks to you, can be cheeky, is fun & even lets you sign your picture before you send it to print. If you need the booth for corporate functions, events or for promotional days then we can offer you an all day price which will be worked out on location & times of operation. 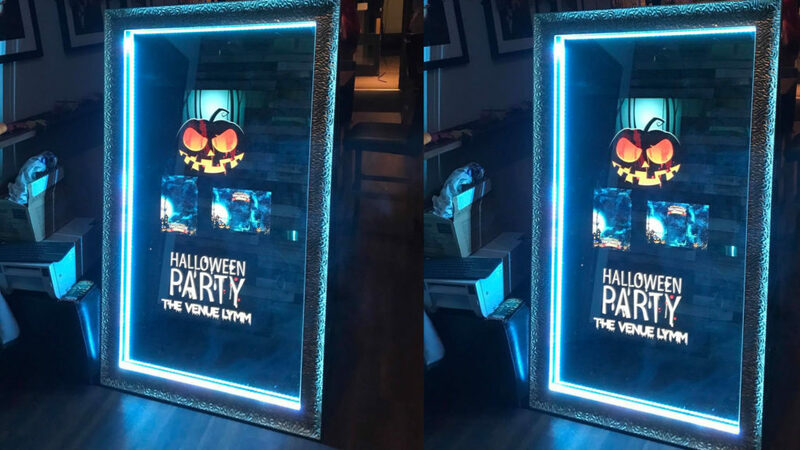 Please get in touch so we can give you a quote for your event & check our availability as this Mirror gets booked up early.